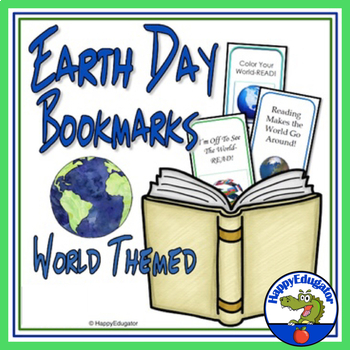 Earth Day Bookmarks! 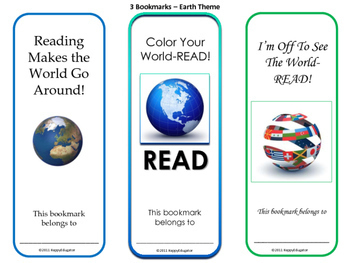 Three colorful bookmarks with an earth or world theme that you can give to your students as a gift for special days! Nice for Earth Day, but can be used anytime. Great Spring gift. Print out, cut out, and laminate. © Deborah Hayes aka HappyEdugator. For classroom and homeschool use. Your purchase buys one license. You may purchase extra licenses at a discount.